Episode #238: The Superman Comic Book Cover Dated March 1961: Action Comics #274! ACTION COMICS 274, March 1961, was published around January 31, 1961. It contained 32 pages for the cover price of Still 10¢ (which meant that the cover price wouldn't be a dime much longer). Mort Weisinger was the editor, and the cover was pencilled by Curt Swan and inked by Stan Kaye. 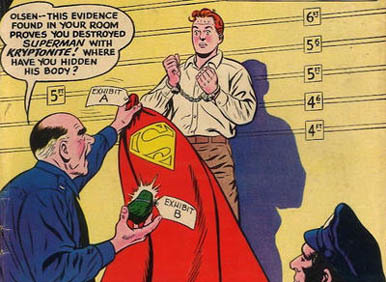 The 13 page Superman story was titled THE REVERSED SUPER POWERS, written by Jerry Siegel and drawn by Kurt Schaffenberger. This was Siegel's 24th silver age Superman story and his 58th overall for this era. This story was reprinted in SHOWCASE PRESENTS: SUPERMAN vol. II. 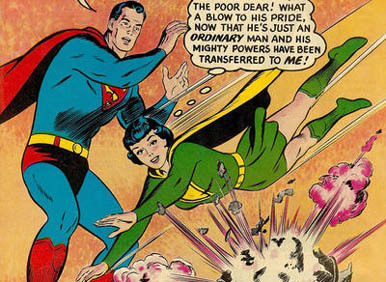 Before this story was published, Siegel wrote two stories for SUPERBOY 87, also cover dated March 1961, KRYPTO'S FIRST ROMANCE and THE SCARLET JUNGLE OF KRYPTON, both drawn by George Papp. Supergirl starred in the 13 page story, SUPERGIRL'S THREE TIME TRIPS, also written by Jerry Siegel and drawn by Jim Mooney, and was reprinted in SUPERGIRL ARCHIVES vol. II and SHOWCASE PRESENTS: SUPERGIRL vol. I. This was Siegel's 35th Superman family story and his 59th overall for the silver age. Since this episode only covers one comic book title, we also highlight the other ads and features in this issue, including the METROPOLIS MAILBAG! Elsewhere in DC Comics, 27 titles carried the march or March/April 1961 cover date. Next Episode: SUPERMAN FAMILY COMIC BOOK COVER DATED APRIL 1958: SUPERMAN'S PAL JIMMY OLSEN 28! In 2 Weeks" SUPERMAN COMIC BOOKS COVER DATED APRIL 1961: SUPERMAN 144 & ACTION COMICS 275!